1. Mediation is NOT Arbitration! Many people assume that the purpose of a mediation is to have a trained third party help them make decisions by choosing a solution when they can't agree, and this misconception has been popularized by shows like Untying the Knot. Bravo TV's show about a New Jersey divorce attorney and mediator, Vikki Ziegler, follows one issue (usually property division) through brief evaluation and "recommendation" sessions. In order to be able to fit the resolution of an issue into a half hour of drama, the show has a formula based on Vikki pushing the spouses to settle their disputes by making a "recommendation" that often sounds much more forceful: in one of the previews, Vikki tells the husband to "zip your mouth and shake her hand." While this might result in settlements in many cases, the formula for this show is much more akin to arbitration or case evaluation than mediation. When we are involved in an argument or a conflict there is an understandable tendency to want to win, or to be vindicated as the one who is "right". If we can't convince the other side that we're right and they're wrong, then we want someone else to make the decision. If you go to court to resolve a dispute and are unable to reach a settlement, the judge (or in some cases a jury) will be that someone. If you hire an arbitrator then they will make the decision instead of a judge, but mediation is something different. Mediation is about having help to make the decision together, instead of the mediator making the decision for you. That may sound harder than letting someone else decide but it is usually much more rewarding, especially in divorce cases. Even a trained professional is never going to know as much about your life and your goals as you do. Why let them decide? 2. 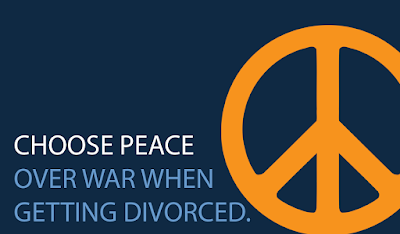 Mediation is NOT one attorney for two people! Many people choose mediation because they want the advice of an attorney but don't want to pay for two attorneys. While a mediator who is also an attorney can provide you with legal information, they cannot advise each of you individually. This is an important, and sometimes complicated distinction. The reason a mediator can't give you legal advice, is because the mediator doesn't represent you or the other party, nor does a mediator represent both of you. It is not ethical or practical for an attorney to represent both parties in a case. In fact, Rule 1.7 of the Massachusetts Rules of Professional Conduct prohibits an attorney from representing a client if that representation will be directly adverse to another client. It is not reasonable to believe that an attorney can represent two adverse clients at the same time in the same action and look out for both of their interests. It is possible to have an attorney act as a mediator but in that case the attorney does not represent either party and is not looking out for either of your individual interests as an advocate would. Instead, the role of a mediator is to assist the two parties in reaching an agreement that they are both satisfied with, regardless of whether that agreement in the opinion of the mediator might favor one party or the other. That is why many people in mediation will consult with their own attorney, at least briefly, at some point in the mediation process so they have the opportunity for individual advice as well. 3. Mediation is NOT Meditation! Okay, I know this one seems obvious but in a world where search engines control the flow of information, there are still some people who think meditation and mediation are the same thing. If you search for iPhone apps relating to mediation, you receive mostly meditation apps. In addition, mediation and meditation do have some things in common. Mediation involves listening and channeling your goals before making decisions. Also mediating a dispute is more likely to lead to enlightenment and relaxation than letting someone else decide for you. So if you're looking for a way to resolve your dispute that is more self-aware, then mediation might be for you, even though it's not meditation. If you want to learn more about mediation click here, or contact Attorney Justin Kelsey.